As you know from my last post, my daughter has been making me hand carved stamps (and doing a quite a fabulous job, I might add). When she gave them to me she asked me to use them on an Art Journal page so, here it is. I am just really impressed with the stamps that she has carved. 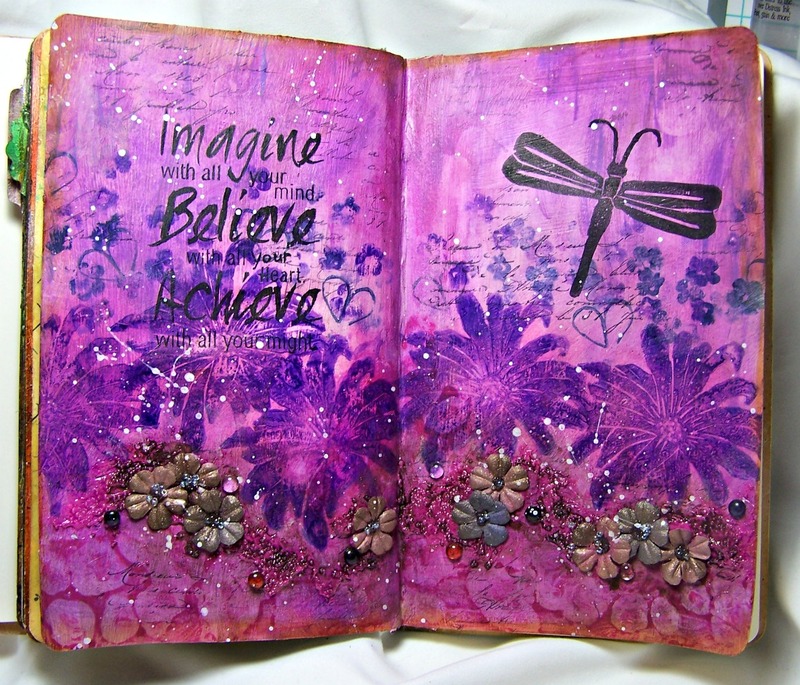 These are the 1st three that she has ever carved (she is a natural) and they worked very nicely on this journal page. Purple is her favorite color so, of course, I had to use a purple color scheme for this layout. 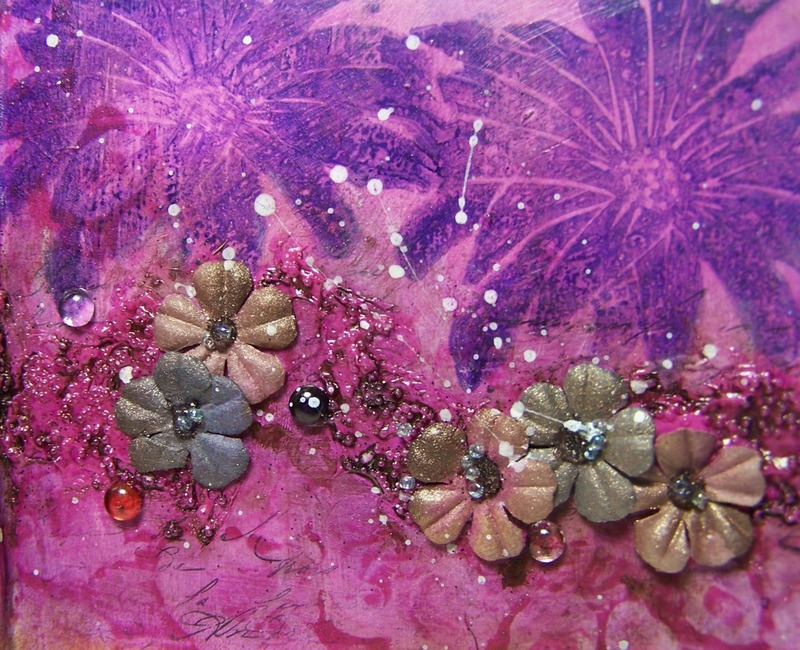 I also tried out a new product on this piece, Liquitex Glass Beads – texture paste (It is the beaded texture behind the paper flowers at the bottom of the page.). I mixed the glass bead paste with a little bit of Magenta Liquitex Heady Body Acrylic paint to give it a bit of color (it will dry clear otherwise). I thought it added wonderful dimension and texture to the page and I can tell that I will be using this product much more in the future. I had a great time making this page with my daughter’s masterpieces (yes, I know, I am partial). Hope you are all getting some happy crafting time in too! 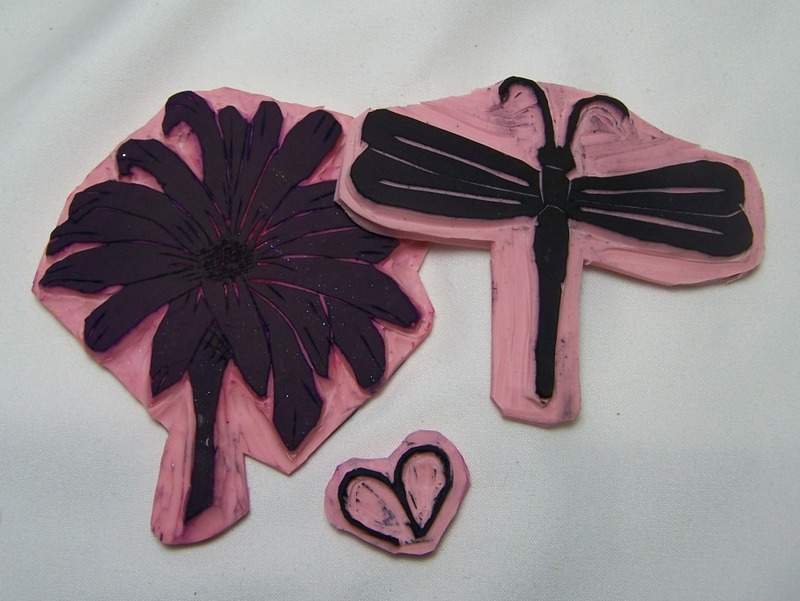 Transformations & Paris Flea Market stamp sets – Club Scrap, Inc.
Got Flowers – Prima Marketing Inc.